My kids have grown up with LeapFrog products. The educational content produced by their solid team of learning experts is unlike anything we’ve found elsewhere. Their award-winning LeapPad recently had an upgrade; here’s what we love about the new LeapPad Platinum. Large Screen: The LeapPad Platinum boasts a 7-inch, high resolution, multi-touch capacity screen. 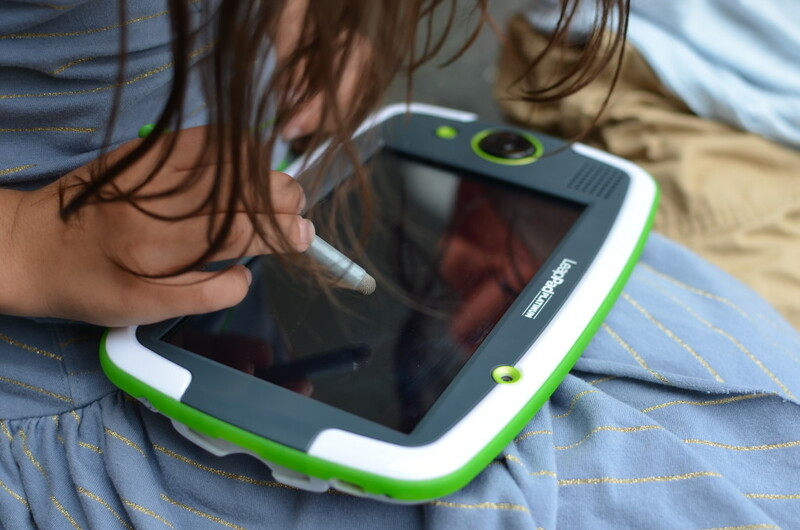 Kids that have had adult tablets in their hands will love the similar feel (with an unbreakable, lightweight body). LeapFrog Imagicard: The new interactive Imagicard experience utilizes special cards to magically bring characters to life by snapping pictures with the device. Kids can partake in Imagicard play on older LeapPads tablets as Imagicard is backwards compatible (with the exception of the LeapPad 1). Kids can still engage with the games if the collectible cards are lost and play other games with them off-line as well. Included Apps + Vast Library of Games, Apps, eBooks and Videos: Like other LeapFrog products the new tablet comes with ten included apps, giving kids a great starter pack of games right out of the box. My kids love playing Photo Fun Ultra and Pet Pad Party. In addition, the new LeapPad Platinum provides access to over 1,000 educator-approved games, apps, eBooks and videos in age-appropriate ways. Kid-Safe Web: LeapSearch, the proprietary kid-safe web browser gives parents peace of mind allowing kids to safely explore content that interests them. 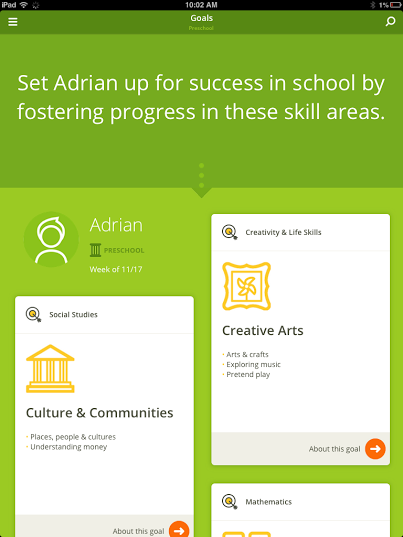 Parameters are set by LeapFrog’s team of learning experts and can be easily expanded in the parental settings. Visit LeapFrog.com to learn more. Product provided. Opinions, as always, are my own. 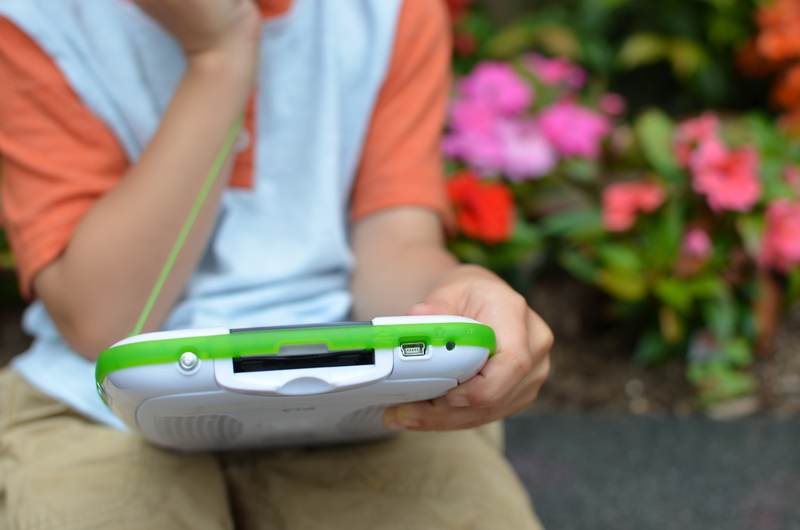 View all our LeapFrog reviews here. 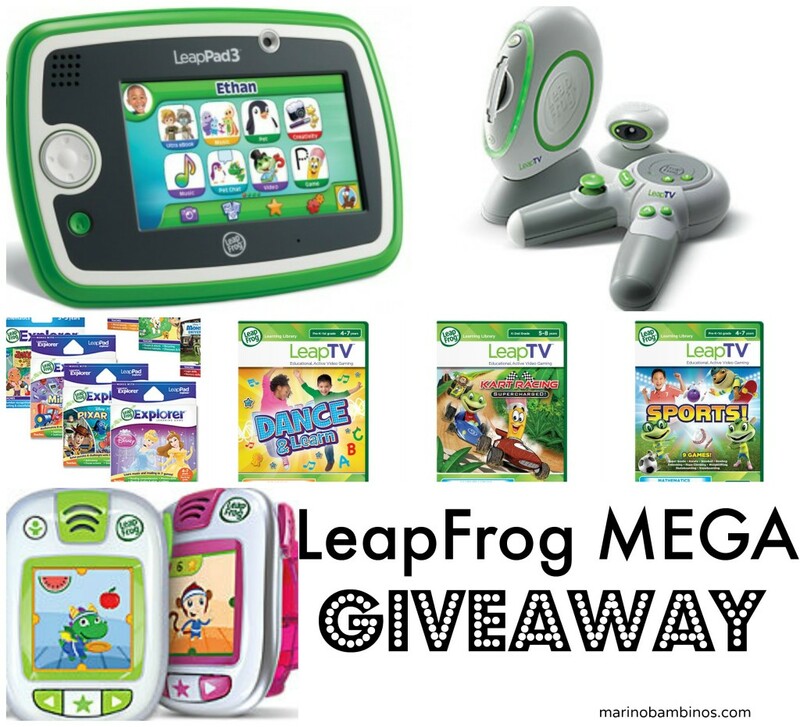 The cold mid-winter has brought us bouts of cabin fever, and we can’t think of a better time to team up with our friends at LeapFrog to offer an amazing LeapFrog Mega Giveaway! 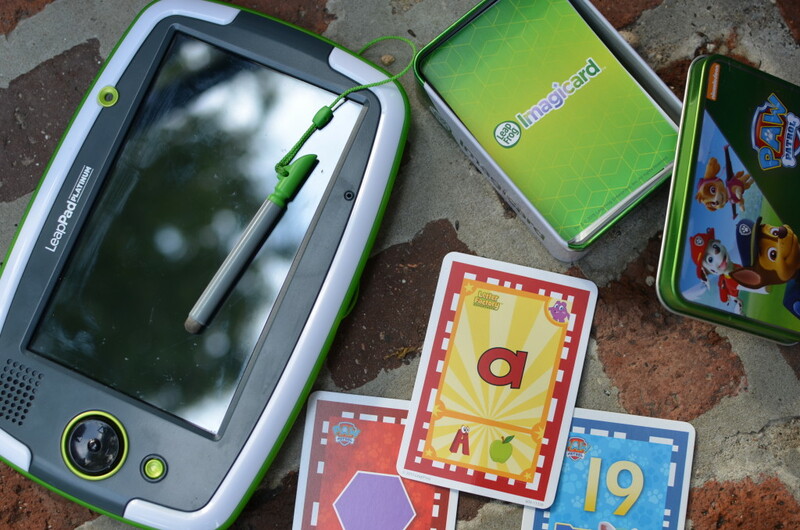 LeapFrog is a valued long term brand partner – we’ve been working with them since 2012 because their products are fantastic, and we can stand behind their educational curriculum and kid-tested fun. 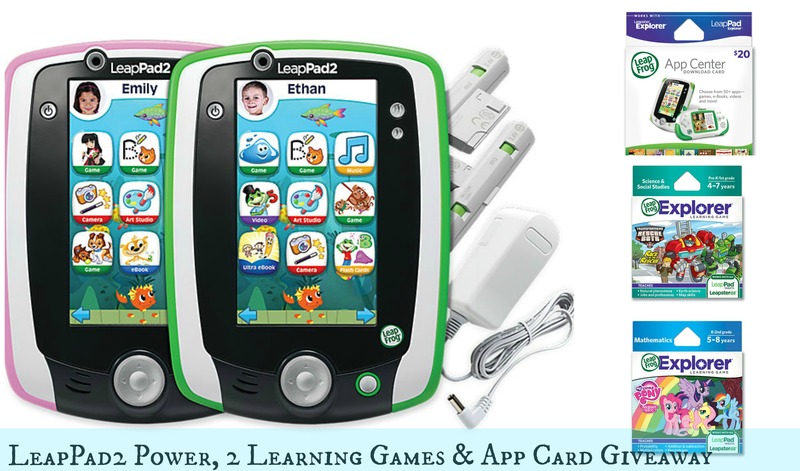 We are excited to have so many LeapFrog goodies to giveaway, with a total value of over $500! We’ve tested these products, and they are among our favorites. Check out our previous reviews of the LeapTV and LeapBands. Enter to win via the below widget. This giveaway is open to US only, and entry methods will be verified. Good luck friends! We had a long weekend at Granny and Poppy’s house. Two full days of time well spent with family always serve as a reminder of what is truly important. With plenty of little ones frolicking around, we certainly kept the Grandparents on their toes. Kiddie-spazz-attack hour never ceases to emerge during our big family gatherings. I often find myself worrying that little co-conspirators will ride a double-stuffed coaster car into a wall propelling something lovely or fragile into ultimate destruction. Our LeapFrog viewing party arrived at a perfect hour, and little ones were thrilled to stay up late. Whoo Hoo! I think we all appreciated a bit of evening calm as the kids enjoyed watching LeapFrog Letter Factory Adventures, The Letter Machine Rescue Team DVD. Through adorable animated characters and catchy songs, the Letter Machine Rescue Team takes viewers on a problem-solving quest to make the Letter Factory ready for its grand opening. The fun characters: Leap, Tad, Lilly and friends, utilize science, math, creativity and problem solving to fix problems that they face along the ways. As they become “junior engineers” they explore, design, build, test and improve several Letter Factory issues in captivating ways. The kids enjoyed the fun demonstration of adjectives and consonant blends as animated letters work together as a team to make up words. 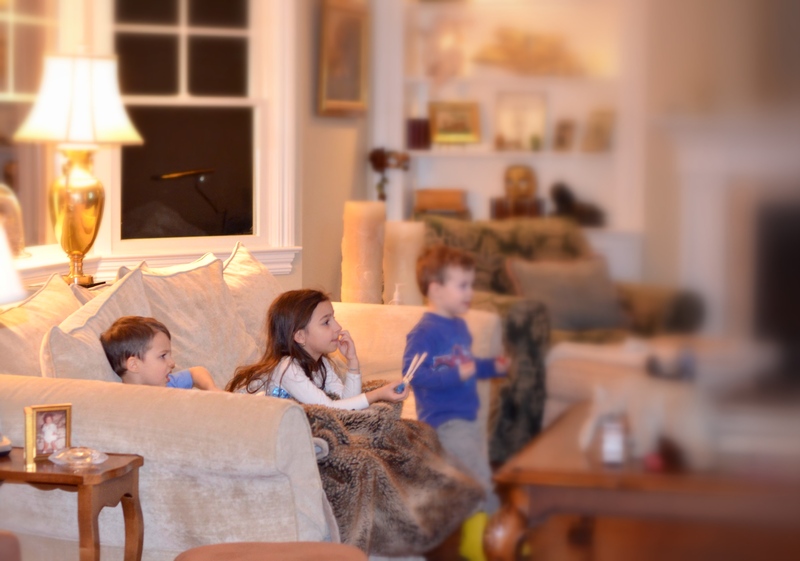 The entire kiddie-clan was hooked for the 35 minute running time – and the educational rich content helps me do away with the “mommy guilt” I seem to associate with TV. Although this DVD is recommended for ages 4-7 – I found it helpful for the younger set as well – as it reinforces colors, letter recognition and comparisons. The Letter Machine Rescue Team is now available at LeapFrog.com and amazon.com. LeapFrog provided products. Opinions, as always, are my own. I spend a lot of time searching for engaging educational projects to work on with my children. I often find it challenging to determine sound resources tailored to Adrian and Lucia’s ages and learning levels. LeapFrog recently launched an intuitive free educational tool for parents on iTunes, called the Learning Path. Although I was in no way obligated to write about it, I’ve found the Learning Path app to be a helpful resource. Upon logging into the app with my account information (this can also be manually added for new LeapFrog users), customized learning activities, expert suggestions, printable educational materials, educational craft tips and so much more appeared. The app works concurrently with our LeapFrog-connected products to give insight into my children’s progress and areas that need reinforcement. 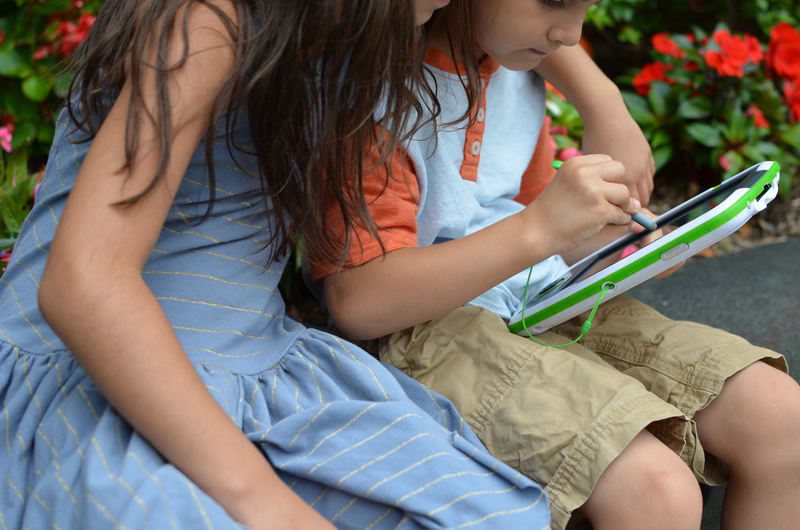 The recommended LeapFrog apps (available for purchase) offer great suggestions for each of my children and are not placed too frequently throughout the app – it never feels like an advertisement. 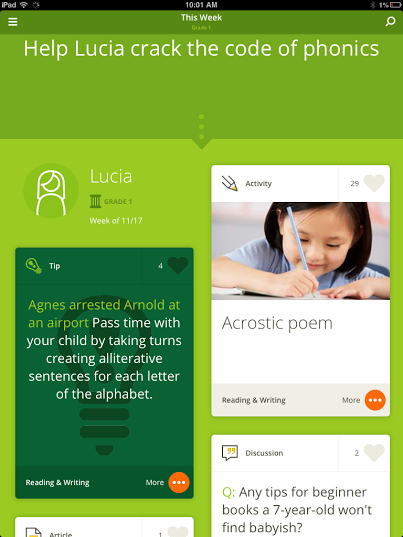 The Learning Path app offers tailored learning “scrolls” for each child, curated by months. My children like that many of the activities are related to current events and Holidays (as seen in their classrooms). The expert Q & A’s are impressively on par with my current questions about my children – offering suggestions about how to get my nursery schooler to open up about his day at school, and how to talk to my first grader about loosing (she likes to be the winner!). I even found activities aligned with the common core standards (that are currently taught in schools). In a short period of time, my five year old became much more confident with “skip counting” which will enable her to tackle more complex math algorithms with ease. The learning activity suggestions are fun, and are clearly curated by the same team of learning experts behind the creation of LeapFrog’s valuable educational products. To learn more about the LeapFrog’s Learning Path, visit www.leapfrog.com/en/learning-path. I was not obligated to write this post and was not compensated. I am happy to share this free resource with readers. As some of you may already know, we are huge LeapFrog Fans. As a LeapFrog Parent, I’ve had the chance to work closely with the brand for about a year and a half now and experience their innovative products in my children’s hands. LeapFrog has effectively supported Lucia and Adrian’s learning and development in fun and engaging ways. One of the reasons why I enjoy partnering with LeapFrog is because they are always eager to spread the learning love! LeapFrog is generously following up on yesterday’s interview post with an exciting giveaway! One lucky winner will win a LeapPad2 Power (winner picks color), 2 game cartridges (may be different than the ones pictured below) and a $20 App Center Download Code ($170.00 Value). To Enter: Simply leave a comment below. Extra Entries will be given to Marino Bambinos followers on Facebook, Twitter and Pinterest (Please leave a separate comment for each entry/follow). An Extra Entry can be earned by sharing this giveaway on Facebook (tag @MarinoBambinos and @LeapFrog, and please include the post link). An Extra Entry can be earned by sharing this giveaway on Twitter: Enter to #win a @LeapFrog LeapPad2 Power Prize Pack #giveaway from @MarinoBambinos:http://bit.ly/15Th3d2. Or create your own tweet including handles MarinoBambinos, LeapFrog, and post link. Six entries total and please leave a separate comment for each. This giveaway is open to US only, and a winner will be selected via random.org on October 20th. Best of luck and thanks for your readership! UPDATE: Congratulations to winner Liz A! An email has been sent. LeapFrog provided me with products, however, all opinions in this post are my own. View my previous LeapFrog reviews under the label LeapFrog. Our kids are growing up in an ever-changing digital age. Children are utilizing technology from earlier ages as a variety of technologies surround our everyday lives. When used wisely, the right products can be effective tools to support learning and development. But with a rapidly-expanding selection of apps and educational games – it can be challenging for parents to determine what to purchase. For the second time, I had the chance to interview child development and learning expert Dr. Jody Sherman LeVos, the math and science development expert at LeapFrog’s learning team. I asked her questions about identifying the best educational games and apps, limiting screen time, and the buzz surrounding the new LeapPad Ultra. She gives some helpful tips about making informed choices that maximize fun learning opportunities for children. LeapFrog products were provided to facilitate this interview. All opinions and nasally, loud voice (I had a cold) are my own.